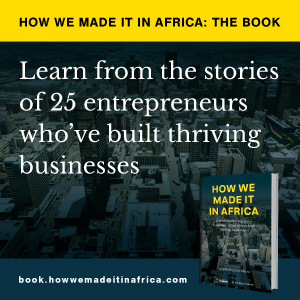 Over the last 10 years trade between Africa’s two largest economies, South Africa and Nigeria, has increased notably and the Nigerian market has seen the entrance of a number of South African companies. South African President Jacob Zuma welcomes Nigerian President Goodluck Jonathan during a state visit to South Africa in May to strengthen bilateral and economic relations between the two countries. In 2014, Nigeria is likely to overtake South Africa as the continent’s largest economy when it is expected to change the base year for its GDP calculations, according to Anna Rosenberg, a senior analyst for sub-Saharan Africa at Frontier Strategy Group. The base year is the benchmark for all calculations used in working out the GDP of a country, as it determines the year in which prices are held constant and enables one to distinguish between economic growth and inflation. The majority of higher income countries revise their base year every five years to reflect changes in the nature of output and consumption. However lower income countries often lack the technical resources to regularly overhaul the national income accounts. Nigeria’s GDP is currently calculated by using 1990 as the base year, which does not account for the rapid development of some of the country’s booming industries, such as in ICT and entertainment (notably in the Nollywood film industry). The rebasing is expected to boost the GDP of Africa’s most populous country by about 40%. “Nigeria will surpass South Africa as the continent’s largest economy when GDP is revised upwards between 40-60%. It is unclear, however, when the new figures will be released,” Rosenberg wrote in a How we made it in Africa article. Nigeria’s steady economic growth over the last decade has attracted the attention of international investors and foreign companies, and South African firms are no exception. Last month, Nigerian President, Goodluck Jonathan, visited South Africa where reportedly nine memorandums of understanding and bilateral agreements were signed. These were in areas that include defence co-operation, oil and gas, mining and mineral processing, ICT and a waiver of diplomatic visas. The visit resulted in an agreement to relax travel and visa requirements for Nigerian citizens holding diplomatic and official passports, where visas will now be issued for an estimated three years and allow multiple entries. According to a Standard Bank report released last month, South Africa-Nigeria bilateral trade has grown almost twelve-fold in the past decade, but there is still considerable room for further growth. While there has been a notable increase in trade between the two economies, the research showed that 83% of total South Africa-Nigeria trade in 2012 was from South African imports of Nigerian crude oil. South Africa’s exports to Nigeria in 2012 accounted for less than 5% of South Africa’s total exports to the rest of Africa, according to the research. “This bias is reflected by an overwhelming reliance on markets in the Southern African Development Community (SADC), which in 2011 absorbed almost 90% of South Africa’s total exports to the continent,” explained Freemantle. In terms of Nigeria’s total global imports in 2011, just 1% came from South Africa. Nevertheless, the report revealed that in 2011, 15% of total imports to Nigeria from the rest of Africa originated in South Africa. However, Standard Bank’s research indicates that there is substantial room for growth in South African exports to the Nigerian market. This is because there are areas of synergy between the composition of Nigeria’s principal imports and South Africa’s principle non-commodity exports. For example, in 2011 electrical and electronic equipment, machinery and vehicles made up roughly half of Nigeria’s total global imports. However, these same product categories accounted for 18% of South Africa’s global exports and “a more significant 35% of total exports to the rest of Africa”. By the end of 2010 South Africa’s private sector had a combined investment stock in Nigeria that accounted for almost 20% of South Africa’s total investment footprint on the continent. This means that Nigeria held the second largest share of outward private investment stock from South Africa on the African continent, behind Mauritius. 10% were in construction, such as Basil Read and Group Five. According to Freemantle, Nigeria’s economic advancement presents far more opportunities than threats for South Africa. A number of large South African firms have secured a significant market share of Nigerian industries. On the other hand, Nigerian firms with pan-African aspirations can leverage South Africa as a base to access other markets in Southern Africa.